Make a bold statement by adding the Blue Speedwave Slide to your play set! 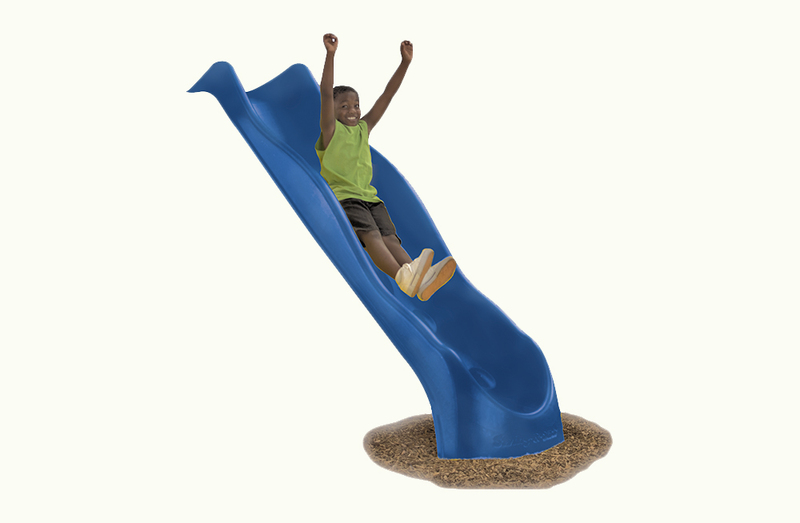 The scoop and wave design of the Speedwave Slide offers an exciting ride for your children in a durable design. Smooth handrails will keep your child secure and comfortable. This one-piece design is constructed of durable plastic that supports up to 250 pounds. 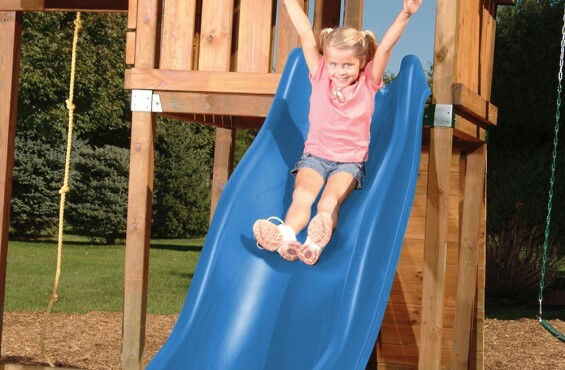 This slide easily mounts to any 42" to 48" deck height and is perfect for upgrading an existing swing set or starting a new backyard project. The Speedwave Slide is proudly made in the USA with a lifetime warranty against cracks and breaks. Additional lumber required for mounting: 2 in. x 4 in. x 8 ft. (not included).